A Basic FPGA PONG Game Code Example. One thing FPGAs are good at is doing video circuits. Simple video displays like a VGA display are essentially a series of counters. Here we will use our FPGA Prototype board to send video to a VGA display. The example we will use is a single paddle PONG game - a classic game from the late 70's. The only hardware need is an output to the VGA monitor (5 lines) and two lines of input for the paddle control. Here is a short video of the output. Here is the hardware VGA Display connection/connector. You will note that we use the same 8X2 pin connector we use on a number of our previous VGA boards (e.g. the 16 bit VGA MS Compatible board). This allows you to use a DB15 VGA socket at the back of your S100 system. Of course if you don't mind connection the VGA cable to the top of your FPGA board you could use a DB15 socket directly. Everything else is programmed into the FPGA! 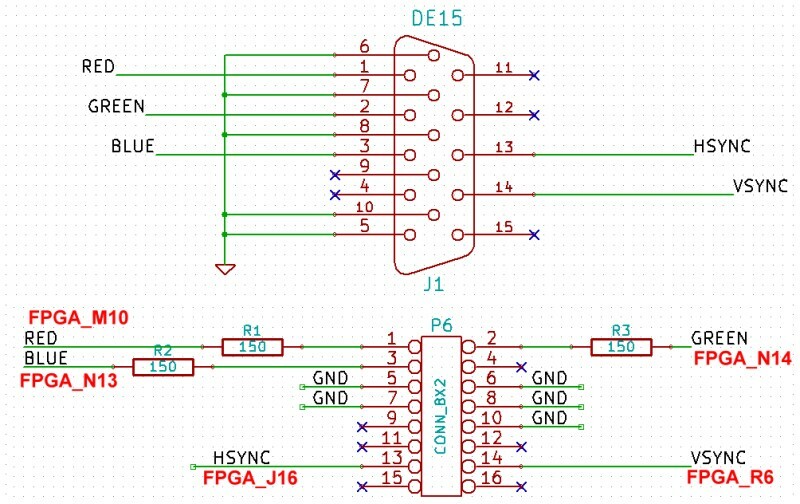 As is almost always the case with simple FPGA circuits like this the are many ways to program the chip. In the above pong.bdf file I have left in much of the S100 bus interface in case you wish to elaborate on the program later. For a standard VGA display VSync is 60 Hz and HSync is 31.5 KHz. We generate the HS and VS pulses from D flip-flop (to get glitch free outputs). The VGA outputs need to be negative, so we invert the signals. We generate a 25 MHz clock by modifying the Quartus supplied IP library PLL01. 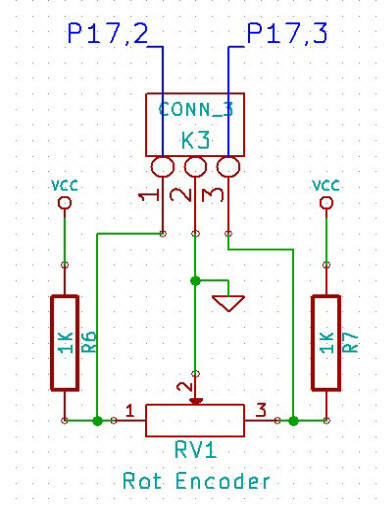 That library allows up to 4 clock outputs from our 50 MHz board clock input. See the top of the PONG.BDF file. You can check you are getting this frequency on P65,pin1. Next we need to add code to take care of the paddle position. Again there are many ways to do this. 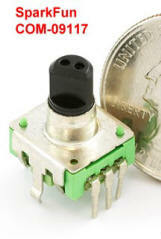 The nicest is to use a "Quadrature Decoder " rotary encoder switch such as this one from SparkFun (#09117). These encoders provide two outputs that define relative position clockwise or counter-clockwise. 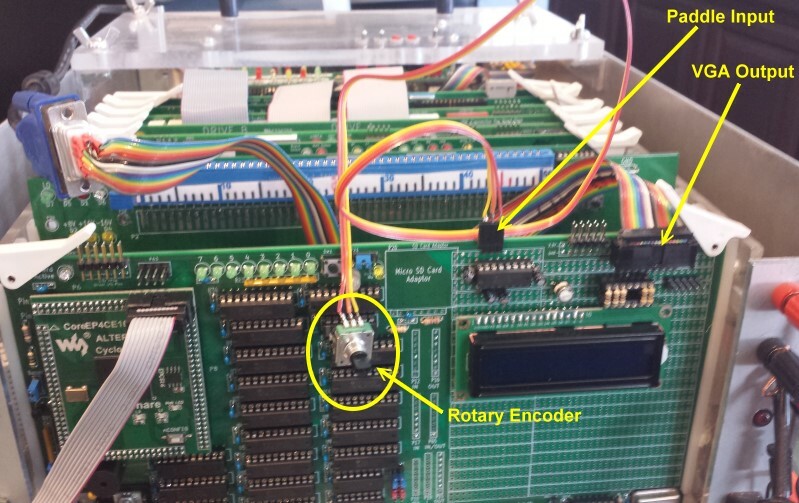 Please see here for details (Incremental encoders). This picture from Wikipedia says it all. As you turn the knob you control the left/right movement of the paddle. Watch the above video to see the control in action.